Posted September 29th, 2016 by Media Heroes. Bicycles are a fantastic addition to any household and they offer a number of different advantages including transport, exercise and, of course, fun. When buying your first bicycle, it is always advisable to opt for a quality model that is capable of offering your great performance, durability and looks. Sometimes, choosing the perfect bike might mean forking out a little bit extra in terms of your initial costs, however the benefits will be far greater in the long term. Because a bike is a bit of an investment in this respect, it is paramount that you do not settle for anything less that a bike that suits your perfectly. When choosing, there are a number of practical things that you need to take into account, although it is also important to remember that it is a matter of preference at the end of the day and there is no point buying a bike that sounds good on paper, but does not appeal to your own personal style. Everyone’s cycling needs are different and this is particularly so when buying your first bicycle. First bike buyers often have a very specific idea in mind – whether it is transport, exercise or leisure – and finding a bike that can meet your needs involves looking our for a few different features. These features should be balanced against your skill as well, however, as cycling can be slightly challenging if you are just getting back into it after a long break, or if you have not cycled before at all. For your first bike you should prioritise durability, practicality and functionality above all else. It is easy to fall for a bike with all the bells and whistles, but those types of advanced features offer you little practical benefit if you are just starting out with your first bike as a casual rider. Your first bike should really be one that has all the basic features, built and installed to a high standard of quality. This will not only be easier to ride, it will also be capable of standing up to the rigours of daily riding, whatever form that might take. 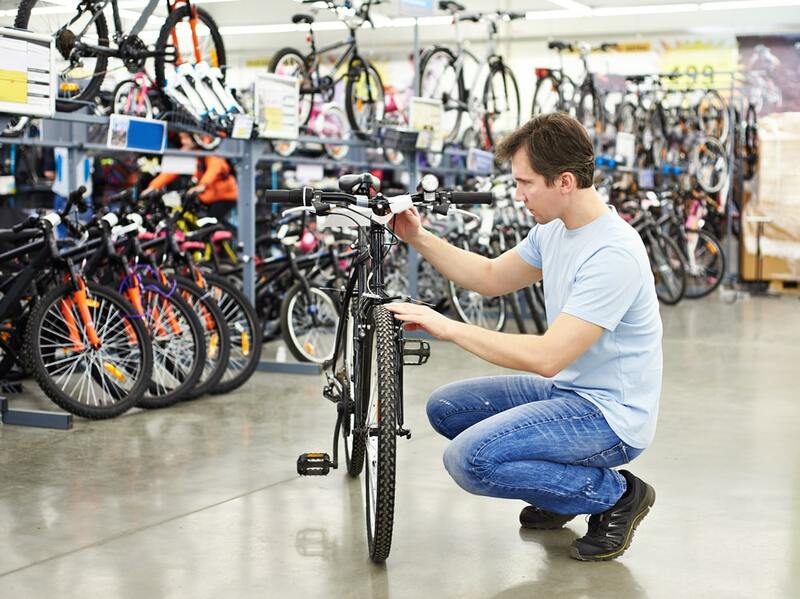 Going to the bike shop will no doubt be an exciting prospect for any first time bike buyer, however the abundance of products can be a little confusing if you have never done it before. To avoid falling for the flashiest bike in the store, it is advisable that you do some research before going in and take some time to assess a few different models and perhaps even develop a shortlist of potential bikes. This way, you can ask your local bike specialist to run you through the features of your shortlisted bikes and you can make a decision based on that. You should also never be afraid to ask some expert advice; your local bike shop should be able to help you out with models, sizing and other general advice for any first time bike buyer. If you are looking at purchasing your first bike for exercise reasons, then you will probably be attracted to road bikes. Road bikes are purpose built for cycling long distances at high speeds and are often lightweight, and quite easy to ride. When buying your first road bike, you should look for more basic models, as the advanced models can be quite expensive. Mountain bikes are built to be durable and robust, which means that they are great as leisure bikes. If you want to ride around your neighbourhood with the kids, try your hand at some cross-country cycling tracks or just have the option to take your bike off the beaten track, then a mountain bike is perfect for you. Hybrid bikes are great for commuting and general transport, with an ever-expanding number of models available across Brisbane. These bikes are purpose built to meet a high standard of comfort and will serve you well on your daily commute. They are also perfect for first time bike buyers, as they are quite stable and easy to ride, even for those who are a bit out of practice. For more experts advice and any doubts you have on buying your first bicycle, speak to the experts at Hoffy Cycles today.